THE TOURISTIN: Hot or not? Taking pictures with your iPad … of art? Hot or not? Taking pictures with your iPad … of art? Every traveller must have met at least one person like the one in the image below by now. I still don’t know what to make of it really. What do you think? I mean the iPad has been designed to take photos, so why not use the feature? 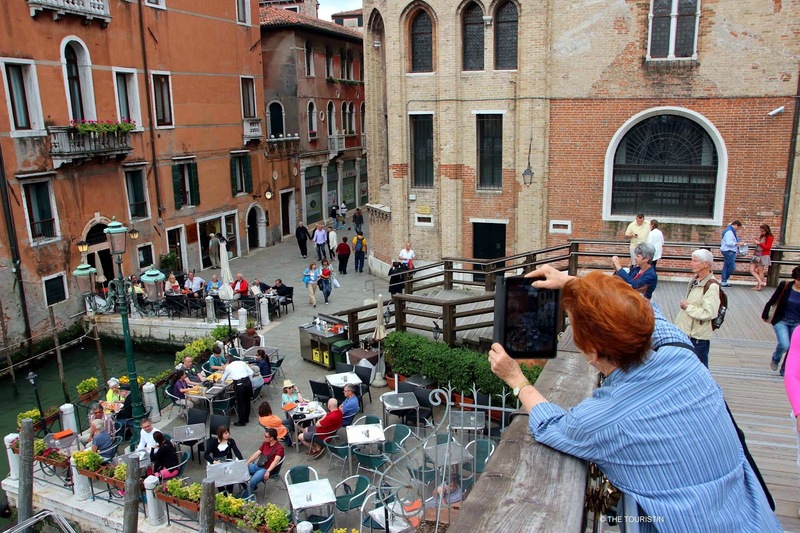 Does it rock to take pictures with your iPad when travelling, or is it plain silly to do so? Do you know this lady taking the pic of a lifetime? Ever since people started schlepping the iPad to just about everywhere, I feel they take more pictures at museums. The no photography-signs are well ignored by most travellers. Rather than to enjoy the exhibition, people choose to take billions of images of paintings, sculptures etc. with their iPad. Like addicts, the urge to take a picture is too hard to resist. It takes away the magic for me, having to look at all the iPads in front of the paintings. If these guys are after images, why can't they buy the catalogue at the museum store? Many museums are sharing their whole collection online anyway, so why not have a browse there after the visit? But maybe they can't, being compulsive photographers. On the other hand, it is actually great free advertising for museums, if people tweet about their visit and also put up their images on Instagram. What do you think? Do you love to take pictures at museums to take an active role and create something new from it or do you prefer to simply enjoy the art?